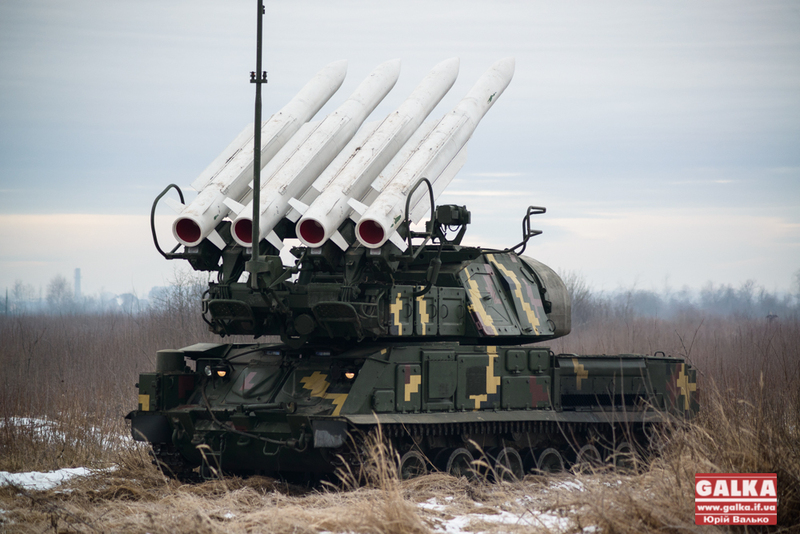 The problem issues are analyzed and the ways of the development of anti-aircraft missile weapons (AAMW) of the Air Forces of the Armed Forces of Ukraine are determined in conditions of financial, economic and other resource constraints. Proposals for providing the required level of combat readiness of the AAMW inventory in the medium term are given. It is shown that the development of anti-aircraft missile weapons in Ukraine should be carried out on the basis of a systematic approach to solving this problem within the framework of a long-term target program, which should include a balanced system of measures for the organization and implementation of research and development work for the creation and modernization of existing anti-aircraft missile weaponry. The main steps to be taken to ensure the further development of AAMW for the period up to 2025 are given. The expansion of the nomenclature and the development of methods of combat use of airborne threats (ATs) have led to an increase in requirements for air defense capabilities (air defense). The experience of local wars and armed conflicts over the past decade has shown that effective air defense of important state facilities and troops should be based on modern air defense missile complexes (ADMCs) capable also of tactical missile defense . But the combat capabilities of the ADMCs, which are used in the Air Forces of the Armed Forces of Ukraine, do not fully meet the modern requirements for combating modern and promising ATs. The most acute problem is the physical and moral aging of the existing ADMC fleet, which jeopardizes the ability of the Air Forces of Ukraine's Armed Forces to provide reliable air defense of important state facilities and troops . At present, the Air Force of the Armed Forces of Ukraine operates automated control systems (ASCs) "Baikal-1" ("Baikal"), "Senezh M" and "Polyana-D4" and the air defense missile systems (ADMS) C-300PT, С-300PS and "Buk-М1" using the scheduled maintenance system. The scheduled duration of operation of armaments and military equipment (AME) ranges from 25 to 31 years. Currently, the average repair has been done to about 50% of ADMS S-300P, to 20% of ADMC "Buk-M1" and to some products from the composition of these MRKs. The surface-to-air missiles (SAM) 5В55К (Р) for ADMS S-300P were made in 1985-1997. About 70% of these SAMs have exhausted their terms, and about 10% of them are disabled and need factory repairs. At the same time, the number of combat ready products 5V55K (P) will be reduced, starting from 2018 in connection with the expiration of the intended life (storage) of 30 years. SAM 9M38M1 (9M38) for the "Buk-M1" were manufactured in 1982-1991. 65% of the SAM 9M38M1 exhausted their intended service life (resource) and require works and factory repairs to continue their assigned indicators, and 35% are disabled. As a result of works on continuation of service life in 2017, the intended shelf life of 9M38M1 and 9M38 products in the container is set to 35 years . Another problematic issue is the provision of the AAMW repairs with the necessary amount of spare parts that are not produced by Ukrainian enterprises . The development and production of scarce components to make spare parts and to maintain the operation of ADMC is at an initial stage for enterprises of Ukraine. At present, work on the replacement of a number of ultrahigh-frequency devices, component base of memory devices and other products for the S-300P and Buk-M1 ADMCs has been carried out to maintain the combat-ready state of the combat equipment of the S-300PS (PT). It should be noted that in the near future, the repair and subsequent operation of the S-300PC (PT) and "Buk-M1" can only be carried out in case of timely execution of works on the development and production of components by domestic enterprises. In order to ensure the further operation of repaired ADMCs with minimal cost, it is expedient to transfer ground-based military equipment to the maintenance by technical condition (MTC) with the introduction of the service method of maintenance and repair (SMMR) . This will allow to operate the ADMC until it reaches the limit of service life without carrying out factory repairs in case of appropriate provision of such operation with the necessary SPTA. for the Buk-M1 ADMC – to carry out factory medium repairs with the capacity of two or more ADMCs per year, and their subsequent transfer to the MTC and the development of service methods for SMMR. The implementation of the recommendations will allow to provide the required level of combat readiness of the existing inventory of ADMCs of the Air Forces of the Armed Forces in the medium-term. The projected estimate of the quantitative composition of the AAMW of the Air Force of the Armed Forces of Ukraine (even taking into account repairs) indicates that in the long run, due to the achievement of the maximum period of service, the quantity of the ADMC S-300PS (PT) and "Buk-M1" will shrink starting from 2025 . In order to update the AAMW in the long-term perspective, it is necessary to add modern ADMC specimens of domestic development and production, or to purchase modern foreign ADMCs. It should be noted that the purchase of a certain number of AAMWs abroad will not allow a radical solution to the problem of the rearmament of the Air Forces of the Armed Forces of Ukraine, since foreign ADMCs are of high cost, and the AAMW market is too fragmented on a political footing. Therefore, the main means of rearmament of the Air Forces of the Armed Forces of Ukraine to modern AAMW in the long run still is the development and production of prospective ADMC (ADMS) by enterprises of "Ukroboronprom" with the involvement, if necessary, of foreign partners of Ukraine . creation of a scientific and technical expertise, based on the latest achievements of scientific and technological progress, aimed at modernizing the existing and developing promising specimens (complexes, systems) of AAMW. modernization of the existing ADMC inventory in order to increase the performance characteristics and the combat capability of the ADMC by improving and replacing new separate functional systems, components, combat and technical means, produced using new technologies and achieved levels of scientific research and development carried out within the framework of research and development (R&D). In the paper, based on the analysis of the current state of the AAMW of the Air Forces of the Armed Forces of Ukraine, recommendations are made to provide the required level of combat readiness of Air Forces in the medium term perspective and the main ways are identified for developing the AAMW of the Air Forces of the Armed Forces of Ukraine for the period up to 2025. Implementation of the proposed measures to replace the high deficit products with modern analogues of domestic production, necessary repair works and transfer the ADMC to maintenance by technical condition, introduction of service methods of maintenance and repair works to prolong the assigned service live of surface-to-air missiles using factory repairs, as necessary, and upgrading the inventory with modern prototypes of ADMCs of domestic or foreign produce will provide the required level of combat readiness of the ADMC inventory till 2025 and for the long-term perspective. Implementation of these measures is possible provided that they are timely funded and given the necessary scientific and technical support.
. Yampolsky, L.S. (2000), “Obobshchennyi analyz prymenenyia sredstv vozdushnoho napadenyia OVS NATO pry provedenyy voennoi operatsyy v Yuhoslavyy "Reshytelnaia syla" y v druhykh lokalnykh voinakh v 90-kh hodakh” [Generalized analysis of the use of means of air attack by the NATO ATS during the military operation in Yugoslavia, "Decisive Force" and in other local wars in the 90s], UlGTU, Ulyanovsk, 80 p.
. Lanetsky, B.M., Lukianchuk, V.V. and Nikolayev, I.M. (2017), “Tekhnichne osnashchennia Povitrianykh Syl Zbroinykh Syl Ukrainy zenitnym raketnym ozbroienniam: stan ta problemy, shliakhy yikh vyrishennia” [Technical equipment of the Air Forces of the Armed Forces of Ukraine with anti-aircraft missile weaponry: state and problems, ways of their solution], Scientific works of Kharkiv National Air Force University, No. 5 (54), pp. 29-32.
. Lanetsky, B.M., Chepkov, I.B., Luk’yanchuk, V.V. and Nikolayev, I.M. (2012), “Mekhanizm zaminy komplektuiuchykh vyrobiv ozbroiennia ta viiskovoi tekhniky suchasnymy analohamy novoi tekhniky” [Mechanism of replacing component parts of weapons and military equipment with modern analogues of new technology], Science and Defense, No. 2, pp. 54-60.
. Karpenko, D.V., Burdyko, D.G., Lanetsky, B.M. and Lukyanchuk, V.V. (2017), “Osnovni zavdannia tekhnichnoho osnashchennia Povitrianykh Syl Zbroinykh Syl Ukrainy zenitnym raketnym ozbroienniam” [The main tasks of the procurement of anti-aircraft missile weaponry in the Air Forces of the Armed Forces of Ukraine], New technologies – for airspace protection: XIII scientific conference KNAFU, pp. 168.
. Lanetsky,B.M., Chepkov, I.B., Terebukha, I.M. and Luk’yanchuk, V.V. (2017), “Suchasnyi stan i shliakhy vdoskonalennia systemy tekhnichnoi ekspluatatsii ta remontu zenitnoho raketnoho ozbroiennia Povitrianykh Syl Zbroinykh Syl Ukrainy” [The current state and ways of improving the system of maintenance and repair of the anti-aircraft missile artillery of the Air Forces of the Armed Forces of Ukraine], Science and Defense, No. 3–4, pp. 54-60.
. Grib, D.A., Luk’yanchuk, V.V. and Nikolayev, I.M. (2016), “Osnovni problemy i napriamy rozvytku zenitnoho raketnoho ozbroiennia na tryvalu perspektyvu” [The main problems and directions of the development of anti-aircraft missile weapons for a long-term perspective], Arms and Military Equipment, No. 1 (19), pp. 37-40.
. Chepkov, I.B., Lanetsky, B.M., Luk’yanchuk, V.V. and Nikolayev, I.M. (2013), “Struktura i tendentsii rozvytku tekhnolohichnoho bazysu suchasnoho zenitnoho raketnoho ozbroiennia serednoi ta velykoi dalnosti” [Structure and tendencies of development of technological basis of modern anti-aircraft missile weapons of medium and long range], Science and Defense, No. 4, pp. 56-62.
. Lanetsky, B.N. Luk’yanchuk, V.V., Kirillov, I.G. and Nikolayev, I.M. (2014), “Poriadok obosnovanyia operatyvnotaktycheskykh trebovanyi k systeme zenytnoho raketnoho vooruzhenyia y ee strukturnym komponentam” [Procedure for substantiating operational-tactical requirements for a system of anti-aircraft missile weapons and its structural components], Systems of Arms and Military Equipment, No. 1 (37), pp. 51-55.
. Lanketsky, B.N., Lisovenko, V.V. and Nikolayev, I.M. (2008), “Kontseptualnye aspekty sozdanyia informatsyonnoanalytycheskoi systemy nauchno-tekhnycheskoho soprovozhdenyia ekspluatatsyy y remonta zenytnoho raketnoho y radyotekhnycheskoho vooruzhenyia” [Conceptual aspects of creating an information and analytical system of scientific and technical support for the maintenance and repair of anti-aircraft missile and radar equipment], Information Processing Systems, No. 3(70), pp. 83-89.
. Grib, D.A., Nikolayev, I.M., Lukyanchuk, V.V. and Zalevsky, G.S. (2016), “Shliakhy stvorennia ta modernizatsii zrazkiv ozbroiennia ta viiskovoi tekhniky Povitrianykh Syl Zbroinykh Syl Ukrainy na period do 2020 roku” [Ways of creation and modernization of specimens of weapons and military equipment of the Air Forces of the Armed Forces of Ukraine for the period up to 2020], Creation and modernization of armament and military equipment in modern conditions: 16th scientific and technical conference of the State Testing Center of the Ukrainian Armed Forces, Chernihiv, pp. 92-93.
. Grib, D.А., Luk’yanchuk, V.V., Nikolayev, І.М. and Zalevsky, G.S. (2017), “Propozytsii zi stvorennia ta modernizatsii zrazkiv ozbroiennia ta viiskovoi tekhniky Povitrianykh Syl Zbroinykh Syl Ukrainy na period do 2020 roku” [Proposals for the creation and modernization of samples of weapons and military equipment of the Air Forces of the Armed Forces of Ukraine for the period till 2020], The latest technologies – for the protection of air space: XIII scientific conference of KNAFU, Kharkiv, pp. 175.